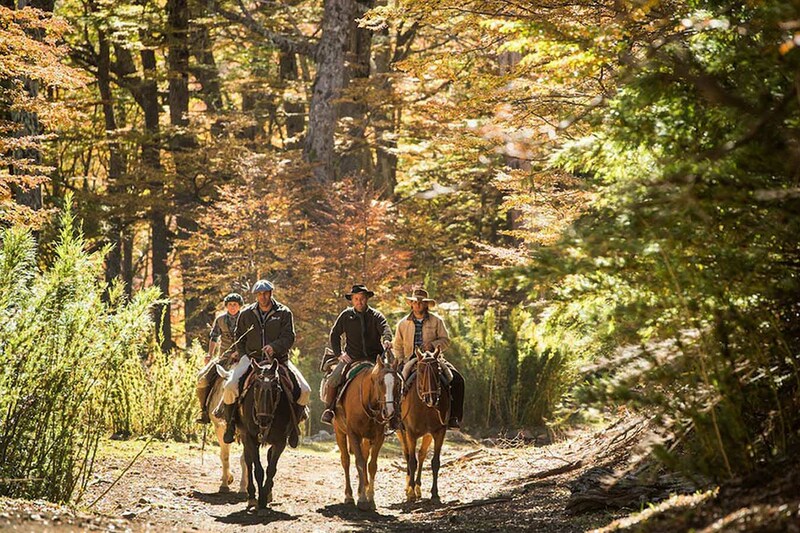 Your Patagonian horseback riding kicks off in the morning, as you head out on 30-minute drive along legendary Route 40. Argentina’s longest road, it traverses 3,107 miles (5,000 kilometers) from the country’s northernmost city to its southernmost tip. 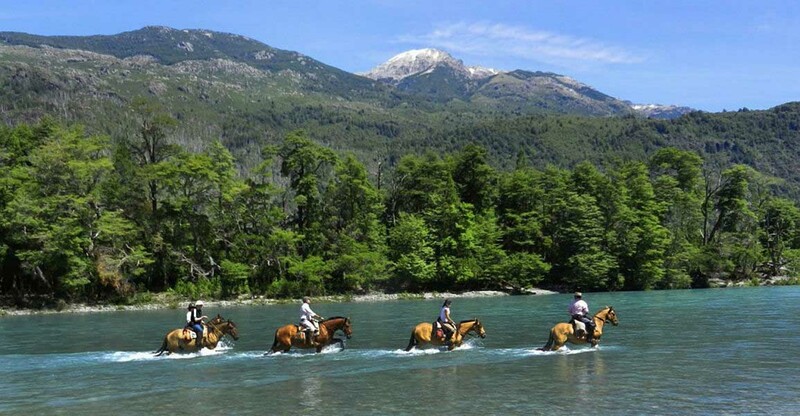 Our destination is “Los Banqueanos” camping center, nestled in the heart of the Nahuel Huapi National Park, and at the foot of the eastern face of Cathedral Mount. Our first horseback ride will be in the morning and will last approximately 1 hour and a half. This first part is rather easygoing, as we get to know our four-legged friends, and enjoy the beautiful scenery. 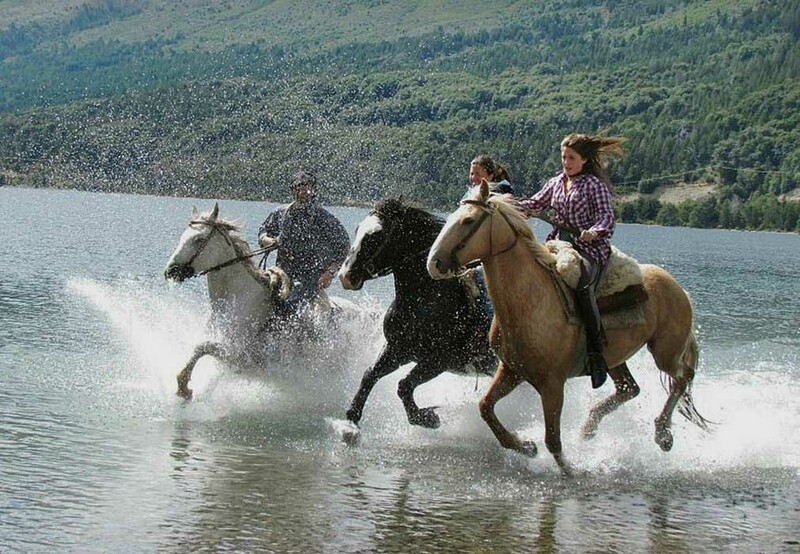 We’ll be led by our “baqueano” - or expert guide or scout - as we ride along the shores of Gutierrez Lake. From there, we’ll descend the southern slope of the mountain, to a viewpoint offering gorgeous scenes of the lake and surrounding mountains… here we’ll ready our cameras and enjoy several photo opportunities! 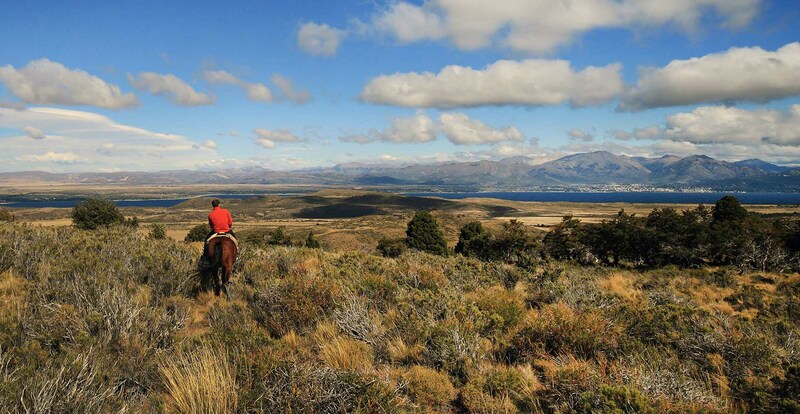 Next we’ll head through a native forest of ancient Cypress and Coihue trees, riding across gurgling streams to another viewpoint, to take in more stunning views. After you’ve snapped plenty of pictures, we’ll head back along the shores of Gutierrez Lake and return to “Los Baqueanos”, where we’ll be treated to a lunch of roasted meats, salads, ice cream, and beverages; at their restaurant by the lake. 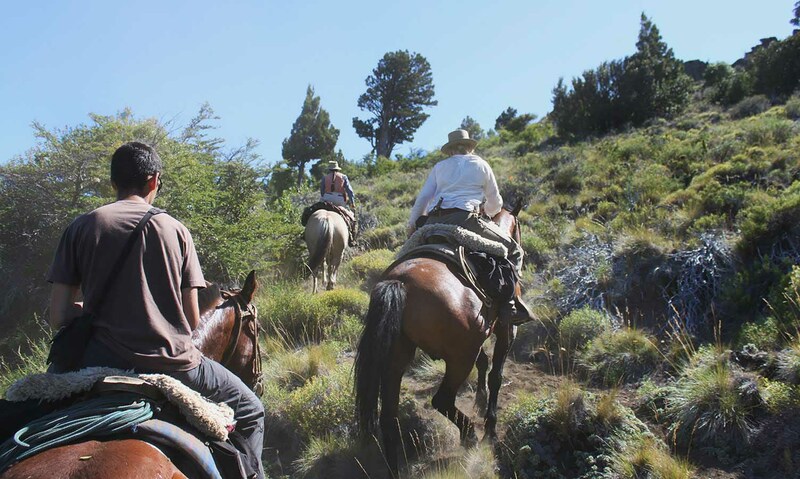 This day of horseback riding and wilderness exploration comes to and end as we return to ‘Los Baqueanos’, and board our vehicle to return to our hotel. 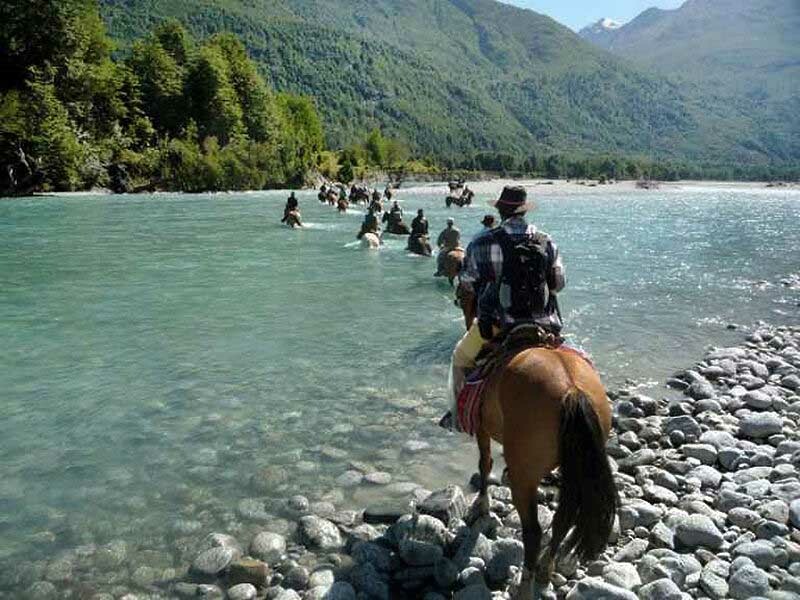 Important: the exact paths or routes followed are determined by the tour guide, upon the same day of the tour, depending on the level of horseback riding expertise travelers may or may not have. The description above covers the usual route, but this may not be the same one you follow. 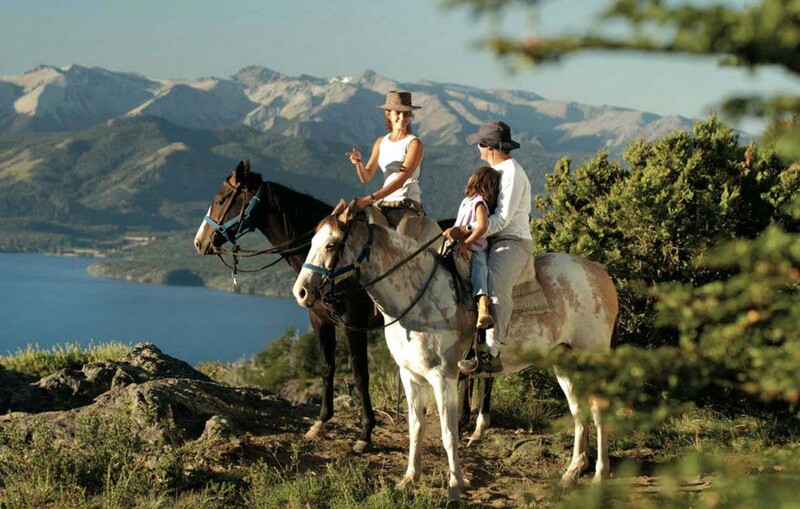 Usually, if the group has members without much experience horseback riding, the outing to the most important panoramic view points is done in the afternoon; while in the morning an easier ride is done. Duration: full day (there is one horseback riding in the morning, which lasts about 1 hour and 30 minutes, and an afternoon horseback ride which lasts about 2 hours). Guide: group guide. The maximum group size for this tour is approximately 20 travelers.